With Nurses Week right around the corner, we thought it appropriate to share this article with you about Nurses throughout history who made significant changes in the Nursing field. You most likely know about several of them and some may be new to you. They are truly remarkable individuals who saw a problem, knew the right thing to do to bring about change, and did it. They are inspirations to us all. Perhaps you see where changes can be made in the Nursing field that will impact your profession and patients in the years to come. Please share your thoughts with the DiversityNursing.com community here. Nurses change the world every day, yet seldom do they come into the spotlight for their actions. We place scientists, celebrities, inventors, and athletes upon the pedestal for their contributions to humanity’s good—most people can name a famous figure in each of these categories. But challenge someone to name a famous nurse, and they’ll struggle. Nurses are the unsung heroes of the medical field—they not only provide the day-to-day care of hospitalized patients, but they also perform tasks few others are willing to do. They care for patients in every way, from handling injections to talking down irate family members to doling out baths and bedpans. Today, their skillsets are almost indistinguishable from those of doctors—they provide just as much care as any M.D. Among this hardworking group, there have been a few nurses whose names stand above the rest—ones whose actions changed not only the personal world of a patient, but the world at large. These are the nurses we should be talking about in the same breath as famous activists and doctors and leaders, so read on to get to know 7 times nurses changed the world. 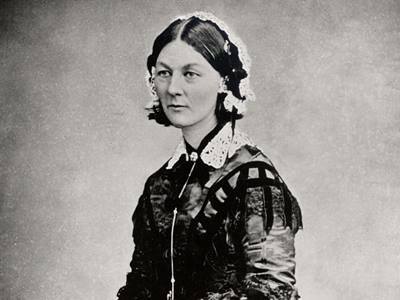 No list of famous nurses would be complete without Florence Nightingale. Without Nightingale, we would not have modern nursing. She changed the world when she opened the very first nursing school in 1860, forever raising the standards of the profession by educating future generations of nurses. Up until this point, nurses were largely untrained, learning their trade through trial-and-error. Nightingale, however, made nursing into a true profession, and saved countless lives by making sure nurses understood medical concepts we take for granted today—she taught concepts such as infection control, patient self-care, therapeutic communication, and thorough patient assessment. These were ideas that Nightingale put into practice, herself, during her time as a nurse in the Crimean War, which the death rate at her hospital by a third. Many of the nurses that went through Nightingale’s school—the Nightingale School for Nurses—went on to found their own nurse training programs, carrying her ideas all over the globe. So the next time you’re being expertly patched up by a well-trained nurse, think of Florence Nightingale. Have you ever made use of oral contraception, otherwise known as “the pill”? You’ve got Nurse Margaret Sanger to thank for that. In the early 1900s, Sanger worked in some of the poorest areas of New York, helping to deliver babies and caring for mothers. Constantly faced with the hardships of unwanted pregnancy, she became intensely frustrated with laws prohibiting contraception. Sanger funneled that frustration into action. For a year, she closely studied birth control, even traveling to Europe to study family planning. Her eventual plan involved three stages—educating the public on birth control, changing laws, and creating an organization to help connect women with contraceptives. She was successful in all three of these endeavors, starting her own magazine, Woman Rebel, reversing the Comstock Law, which made the mailing of birth control information illegal, and establishing the organization that is, today, known as Planned Parenthood . 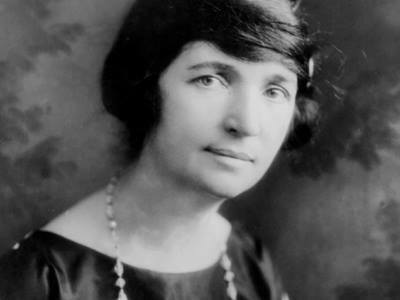 Sanger was jailed, harassed, and discredited for much of her career, but won out in the end, and because of her efforts, she changed the world through the introduction of easily obtainable contraceptive care for women all over the United States. 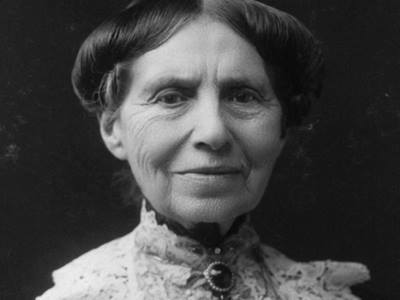 Nurse Clara Barton changed the world when she founded an institution that we’re all familiar with today—the American Red Cross. Born in December of 1821, Barton had her first taste of nursing when her brother fell from an unfinished barn. Caring for him for the next three years, she quickly showed an aptitude for medical care. She later found herself tending to wounded soldiers during the American Civil War, and in 1861, founded an agency that distributed supplies to wounded soldiers. In 1862, Barton began to travel in order to reach some of the worst battlefields of the war, and was appointed “lady in charge” of the Union hospitals. Later, while searching for the missing men of the Union Army—as appointed by President Lincoln—she came by a young soldier who gave her a list of the dead in fear that he would be killed before he could get it to authorities. She traveled to Andersonville, publishing the names, and began a nationwide campaign to identify all missing soldiers of the war. 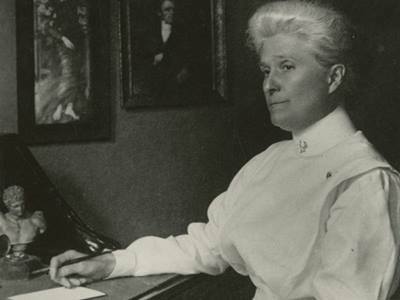 Bringing back the idea of the Red Cross from a trip to Switzerland, she formed the American branch, becoming president of the association in 1881 and leading its first relief effort during the Great Fire of 1881 in Michigan. When you see the symbol of the Red Cross, remember Clara Barton’s contribution to a changed and better world. 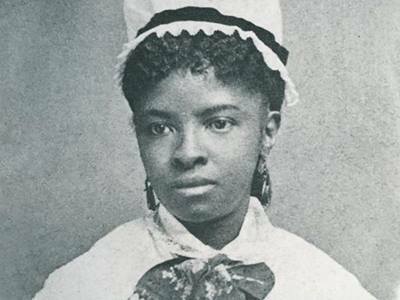 As the first African-American registered nurse, Mary Eliza Mahoney changed the world through her efforts to raise the status of nurses of color in the professional workplace. In 1879, Mahoney received her diploma from the New England Hospital Nursing School, becoming one of only four out of a class of 42 students to graduate from the rigorous program. In 1896, she joined the newly formed Nurses Associated Alumnae of the United States and Canada, an organization later known as the American Nurses Association. The organization proved reluctant to accept black members, and so Mahoney later form the National Association of Colored Graduate Nurses, speaking at their first convention in 1909 and addressing issues of racial inequality in the nursing field. It was largely thanks to her efforts that the number of African-American nurses doubled from 1910 to 1930, and that these nurses were legitimized and seen as professionals. It is because of this that Mahoney was later inducted into the Nursing Hall of Fame in 1976, and into the Nursing Hall of Fame in 1993. 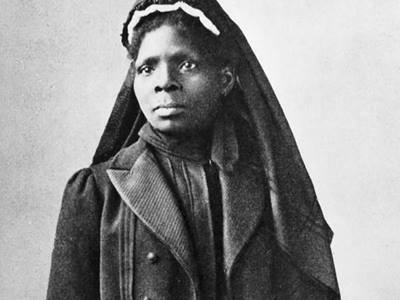 Where Mary Eliza Mahoney was the first African American registered nurse, Susie King Taylor was the first African American nurse ever. Born into slavery in 1848, Taylor’s family were servants at the Grest Plantation in Liberty County, Georgia. She attended a secret, illegal school for slave children run by a neighbor, learning to read and write. When she and her family escaped across Union lines and were liberated, army officers took note of her education, and she became the first black teacher for freed African Americans in a freely operating school. Later, she found her calling as a nurse with the First Regiment of South Carolina Volunteers, later renamed the 33d Regiment U.S. Colored Troops. For three years, she moved with the regiment, serving as their nurse and teaching soldiers to read and write during their free time. Later, she became president of the Women’s Relief Corps, a national association for veterans for Civil War veterans, where she worked for the rest of her life. Taylor’s world-changing service cannot be understated—she showed the world what freed slaves were capable of—that they were every bit as human as anyone else, and were capable of great achievements, given the opportunity. Virginia Henderson earned the title “Foremost nurse of the 20th century,” and for good reason. 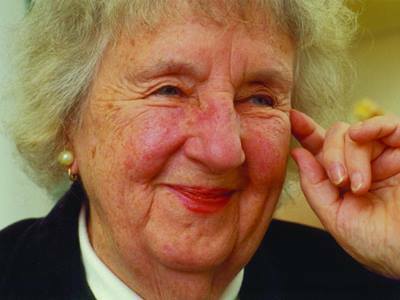 Her contributions changed the world through their far-reaching effects on the international nursing community. Henderson is known for defining her profession: "The unique function of the nurse is to assist the individual, sick or well, in the performance of those activities contributing to health or its recovery (or to peaceful death) that he would perform unaided if he had the necessary strength, will or knowledge." Her theory placed emphasis on helping patients become individuals again rather than completely relying on others for care—this helps increase the chance of patients caring for themselves once they leave care. If you’ve ever had a nurse who you felt was particularly instrumental in helping you regain your individuality and strength, you have Henderson’s world-changing writing to thank. When you’re referred to the “American Florence Nightingale,” you know you’ve done something right. Anna Caroline Maxwell was one of America’s great nurse leaders, whose activities were important to the growth of nursing as a profession in the United States. She was also a founding member of the American Society of Superintendents of Training Schools for Nurses, which was a forerunner of the National Nurses Association. During the Spanish-American War, Maxwell was sent to a field hospital in Chicmauga, Georgia, where she led a large number of nurses in improving sanitation, containing disease, and lowering the death rate—the military was so impressed with her contributions, that the United States Army Nurse Corps was established. During World War I, Maxwell worked to prepare nurses for military service, traveling around Europe to visit hospitals in the warzones. After the war, she successfully campaigned for nurses to be given rank within the military. Anna Caroline Maxwell changed the world by helping to integrate quality nursing into the American military, improving the working conditions and training of the nurses who would later take her place. If you know a nurse, take the time to celebrate him or her—they belong to a tradition of men and women who have made lasting, positive impacts. So remember these important figures. Don’t let the nurses who changed the world fade into obscurity, and don’t let the nurse in your life go without your appreciation for all they do.